A number of lifestyle and health factors have long been associated with heart disease. The NHS lists high blood pressure, tobacco use, high cholesterol, diabetes, poor diet, lack of exercise, obesity, excessive alcohol consumption and stress as the “big nine”. 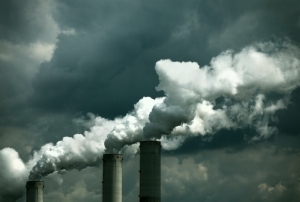 However, there is a growing body of evidence that air pollution has a significant part to play. A large-scale study published in the British Medical Journal (BMJ) looking at long-term data for people in five European countries found evidence of harm even where environmental concentrations of air pollution were at permitted levels. The study found that for each 5 µg.m-3 increase in annual exposure to fine particulate matter (PM2.5) there is a 13% relative increase in the incidence of heart attacks, even after taking into account other risk factors such as those listed above. There is also evidence that rising levels of PM10 and other air pollutants could also lead to increased heart attack risk. Such research could lead to tightening of EU and UK air pollution policy, which could establish more stringent National Air Quality Objectives in the coming years.